Black Bear’s most popular feature is the par 3 warm-up hole #19, which is played before you go to #1. Voted one of the area’s best golf courses five years in a row, Black Bear offers some of the most diversified terrain in the state by combining Scottish-links-style holes with traditional tree-lined Northern Michigan hardwood holes. In Vanderbilt, near Gaylord. 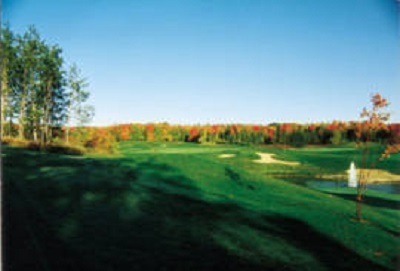 A refreshing choice for players looking for that “one-of-a-kind” Northern Michigan golfing experience. The course, combined with above and beyond service, makes Black Bear a “must play.” Group rates, corporate outings and events are welcome. 2008/2009 Golf Digest rated it four stars.